The master conductor of the endocrine system is the pituitary gland located at the base of your brain. Kidneys are part of the endocrine system located at the back of your abdominal wall near your twelfth rib about an inch from your spine on both sides. The endocrine function of healthy kidneys filter your blood removing extra water, salts and other wastes exiting as urine. Your kidneys are located at the back of your abdominal wall near your 12th rib about an inch from your spine on both sides. Kidneys also play a vital role in balancing sugar in your blood. When the pancreas doesn’t produce enough of the hormone called insulin, then your blood sugar level can rise to dangerous levels. If your kidneys aren’t sufficiently balancing the amount of sugar in your blood, then sugar appears in your urine. This disorder is called diabetes. You may want to peruse Remnant Ramblings Newsletter Essential Oils for Kidneys & Gallstones – Part 1. On top of the kidneys are the adrenal glands. Adrenal glands secrete hormones which are chemical messengers to signal body functions to turn on or off. One hormone secreted by adrenals is steroids which controls salt and water, swelling, repairing damaged tissues and help to respond to arousing stimuli. Adrenal glands are often affected by diet and stress and how we respond to stress. Adrenalin and cortisol are two major stress hormones and chemical messengers whose release may be triggered by negative emotions in sudden or long-term stress. Thus, these two hormones influence the immune system to switch off. The adrenocorticotrophic hormone (ACTH) suppresses pituitary action by stimulating the adrenals gland to produce adrenaline (epinephrine) which stimulates the autonomic nervous system (ANS). Suppression of the pituitary, which is the master of the endocrine system, can cause damage and create havoc affecting the thyroid, adrenal and reproductive organs and their respective hormone production. Medical science and professional aromatherapist communities have embraced research indicating emotional states such as negative emotions, grief, and stress can deplete the immune system. Conversely, positive emotions can bring homeostasis and healing to the body. Essentially, thoughts are electro-magnetic energy and are considered non-material or non-physical but can produce beneficial material and physical healing effects or inflict and promote dis-ease. Historically, the nervous and immune systems were studied separate and independently of each other. However, today, their functions and interaction are studied together as the science of PNI or PENI (psychoendoneuroimmunology). It hasn’t, yet, been possible to scientifically demonstrate a link between a specific emotion to a specific physical disease. However, in the world of Biblical based spiritual healing, there has some research and recorded documentation of such. Consider Dr. Henry Wright’s work – A More Excellent Way, Arthur Burke’s work on Fractals of Two: Adrenals & Kidneys, and many of the works and research of Dr. Caroline Leaf as in her BLOG referring to cortisol released by the adrenals and difference between men and women. Medical research has revealed that emotions such pessimism and/or depression can amplify pain symptoms and, most likely, contribute to inflammation. Emotions can be stored in organs of the body and the water in the body’s cells make an imprint or memory holding on to pain, trauma, joy, etc. Adrenals area attached to the kidneys which filters and carries the “waters” of the human body. Adrenals and kidneys are associated with the emotion of fear. Being stuck in the “fight or flight” mode of fear stresses and triggers immune suppression and illness. The puts too much emphasis on the sympathetic system and hinders the para-sympathetic system which is needed for proper digestion and rest. To assist the para-sympathetic system, I learned neat little “energy technique” this past fall when I attended an ACIM workshop with Dr. Cowden in Texas last September. This energy technique has been quite helpful at night when I’m trying to sleep and my mind is thinking too much to just rest. I’m amazed at how quickly it has worked for me to calm my mind and go to sleep. It’s also a helpful technique to use before eating each meal to enhance proper digestion. You may watch Dr. Cowden demonstrate the technique with Dr. Mercola at about 27 minutes into the interview. The para-sympathetic system is also responsible for slowing heart rate, increasing intestinal and glandular activity, and relaxing the sphincter muscles in the gastrointestinal tract. Unfortunately, in our society, we tend to live lifestyles and have thought patterns that keep us in the fear stress kidney and adrenal draining response with an unhealthy balance of too much sympathetic overload. If you are having problems having a bowel movement, use the energy technique and inhale deeply. Teach it to your children, family and loved ones. Use it to calm down, relax, go to sleep, etc.. It’s FREE and available because YHWH created your body as a house of light — energy! For an excellent course on SLEEP, consider a Holistic Registered Nurse course by Brooke Lounsbury at UDEMY: SLEEP – The Missing Link to Optimum Health. E-Motions are energy in motion. They can be trapped in cells and organs in the body. Additionally, the limbic system part of the brain is relevant to the imprinting or processing of memory. Thus, an essential oil’s aroma entering the olfactory system has molecules or frequencies which can invoke therapeutic spiritual and emotional reactions ministering to a person. Because the essential oil molecules are able to cross the blood brain barrier, physical therapeutic responses may also occur. This is why certain smells or aromas are able to invoke memories and events. Thus, an aromatherapist with training as an Ancient Bible Based Apothcecary™ (A.B.B.A.) can use prayer, intuition and trained skills to use and create essential oil blends for EMOTIONAL aromatherapy. See more info on SHeMeN (Essential Oils) Based on Kingdom Emotions and Purposes under the description of Remnant Remedy’s new blend LOVE ME TENDER. Aside from emotional therapy with essential oils, you may want to consider consulting with an EMOTION CODE PRACTITIONER to release trapped emotions and heart walls. I will share more on this in the future. Meanwhile, if you’re interested in working with releasing trapped emotions, contact me so I can refer you to Believers of YHWH who are not into new age and witchcraft. 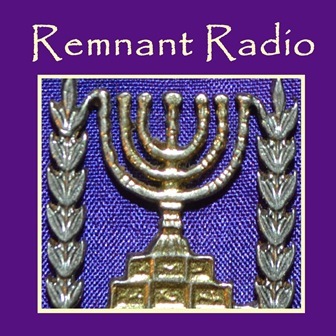 Rather, they understand it’s part of Elohim Alef Tav’s creation and desire to reclaim dominion and give glory to Him. Sessions can be done over the phone or via Skype, etc. Keep in mind, Emotion Code Practitioners can also work with animals. Today, many medical doctors who are practicing complementary and integrative medicine are recognizing that 70% – 90% of the diseases they’re treating in their patients are rooted or connected to emotions. Thus, other natural modalities of treatment are being administered including emotional release techniques, color spectrum therapy and essential aromatherapy as a few. Again, the emotion of fear causes stress on the adrenals with the fight or flight response. How many times do the Scriptures tell us to not fear and that we are not to be given to a spirit of fear but of a sound mind? There are dozens, if not hundreds, of verses instructing us to not fear and they’re not suggestions; rather, they are commandments to not fear anything but YHWH Himself. Therefore, it’s generally understood that nearly all disease is affected by thoughts, feelings, emotions and attitudes which are influenced by personality and possibly epigenetics. The concept of emotions affecting physical disease has opened a new world of science and health care practitioner specialties dealing primarily with emotions. Western medicine is just now catching up to ancient practices (both pagan and Biblical) of using the mind to control pulse rate and breathing helping it to relax and overcome pain. When praying (which is a meditative state), brain waves decrease helping to divert blood circulation to the brain and vital organs, with less going to muscles which results in a slower heart rate and lower blood pressure. Thus, one could adhere to the prescription for health to meditate which means to focus, be mindful, to train our attention and awareness to Elohim’s Word – His DaBaR – His vibrations and frequencies of order, life and health instead of DeBeR – vibrations and frequencies of disease and death. If stress has been a contributing factor to adrenal fatigue, it may be beneficial to focus on essential oils for stress. Since I believe the brain and olfactory system is a wonderful computer made by Elohim, I also believe you have a built in aroma sensor which will indicate to you what essential oils you should use. Therefore, I encourage you to select from among the SHeMeN (EOs) you love the aroma of most. Inhale 1 – 2 drops with equal amounts of carrier if applying topically. If the EO is hot then add at least 95% carrier oil. Keep in mind that aromas made from flower petals are usually those that help soothe the mind and emotions the most often. As a delicate flower is at the top of the plant, crowning it with beauty, so your mind is at the top of your body and is the intimate place where the Ruach haKodesh (Holy Spirit) falls upon the crown of your head. Remnant Remedy offers ADRENAL ASSIST essential oil blend. Combo #1: Dr. Schnaubelt cites: Spruce (Tsuga Canadensis) oil restores adrenal glands; combined with Pine Needle (Pinus silvestris). Mix 50/50 then mix 50/50 with carrier oil to APPLY EXTERNALLY over kidney area and on reflex foot points (SEE CHART). Spruce combined with Cedarwood Atlas and Peppermint EOs — applied to the body after morning shower with at 5% essential oil(s) with 95% carrier oil may substitute for morning coffee! Caution: Use Spruce EXTERNALLY ONLY. Combo #2: Coffee, tea and drinks with caffeine can deplete your adrenals. Apply over kidney area topically and on foot reflex points for kidneys/adrenals. Combo #3: Combo #2 can be expanded to help stimulate in the mornings by mixing Cedarwood Atlas with Pine Needle and Spruce and Citrus EO of choice (be careful of phototoxicity). Blend 25%/25%/25%/25% then mix this combo at only 5% EO and 95% with Carrier Oil or with a non-toxic body lotion or salve. Apply to kidneys and reflex points. Caffeine causes the heart to pump faster, breath to quicken, blood pressure to increase which is due to its impact on the kidneys which then starts to release fluid causing a diuretic response and often, dehydration. It’s so powerful, many people can’t start their day without it – or so they believe. It causes the body to become imbalanced and reprograms the body. Sugar impacts the kidneys and causing them to retain water, not utilizing it. Sugar also interferes with the body’s ability to execute commands of healthy body cellular function putting it in a state of cathartic shock which then tells the body to retain water. Often times, kidneys present issues as pain, weakness or stiffness on the left side of the body first. Darkness or puffiness under or around eyes may be present and, possibly, along with growths, wrinkles or discolorations in the bag region under each eye. Bladder problems may be a result of kidney problems which may lead to heart weakness and/or reproductive weakness. In essence, the ADRENAL GLANDS may be affected by or affect the bladder, kidneys, endocrine system, heart and reproductive system. Parsley may help promote gall bladder functions removing gall stones, and supports adrenal glands and optic nerves, brain nerves and the sympathetic nervous system in general. Rich in minerals and contains more iron than most green leafy vegetables and three times more potency of Vitamin C than citrus juices. The fluid extract or juice is used to aid blood vessels, capillaries and arterioles. Prepare an infusion extract putting 1 tsp of dried herb or 2 tsp of fresh herb to 1 cup of water, regulate to the quantity suitable to strength depending on need. Finely cut or bruise fresh herb leaf and stalk or coarsely grind dried herb. Pour 1 pint of boiling water over the herb, cover and let stand or steep for 15 – 30 minutes, stir occasionally. Strain off liquid (some sedimentation may remain which is alright). Mild adrenal fatigue may benefit by the gentleness of herbal teas which support such. Licorice Root supports adrenal function and dried roots can be chewed on as needed. Break off 1 – 2 inches of root and chew as long as possible before spitting out remaining pulp. Also, may make a decoction of fresh or dried root. Oats Seed (Avena sativa) is a gentle nervine tonic for aiding exhaustion, sleeplessness, adrenal burnout, and addiction to nicotine, caffeine and other drugs. Additionally, it serves as a diuretic. It can be made with a basic water extraction into a tea or decoction of the fresh or dried immature seed. Make a fresh cup of tea daily which is the preferred extraction preparation for adrenal imbalance. School of Natural Healing: The Reference Volume on Natural Herbs for the Teacher, Student or Herbal Practitioner by Dr. John R. Christopher. I have the 1976 version. I believe the older versions are best. However, I’m delighted to discover that it is now published online by his son. Learning to read natural face and body health indicators is a gift from Elohim. It’s been used for millennia and is still used today in many other countries and by medical doctors who embrace integrative and complementary medicine. It would behoove us to learn the signs to help ascertain our health and our loved one’s health before severe dis-ease sets in. Our bodies are fearfully and wonderfully made and each part will speak to us, as designed by the Creator, if we will just look, listen and discern. The best thing about learning such, is it’s non-invasive and free! Raised (puffy eye bags), wrinkled or discolored half-moon shapes directly under and/or above eyes are reflective to indicate kidney and/or adrenal weakness. Adrenals glands are reflected by raised areas shaped like a bean or black-eyed pea at the lower outside corner of the eyes. White graying hair is believed to be a result of weak kidneys and may, often change back. 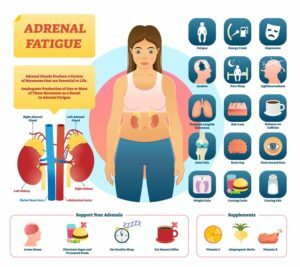 Diet Inferences: Caffeine and sugar, white flour (bread and pasta) contribute to adrenal gland burnout. Advanced Aromatherapy: The Science of Essential Oil Therapy, Kurt Schnaubelt, Ph.D.